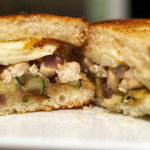 The tuna melt is a sandwich (grilled cheese sandwich?) that some love while others simply gross out at the thought. The “haters” wonder why you would want warm tuna cooked with cheese melted on on top. I wonder why you wouldn’t want warm tuna cooked with cheese melted on top?! 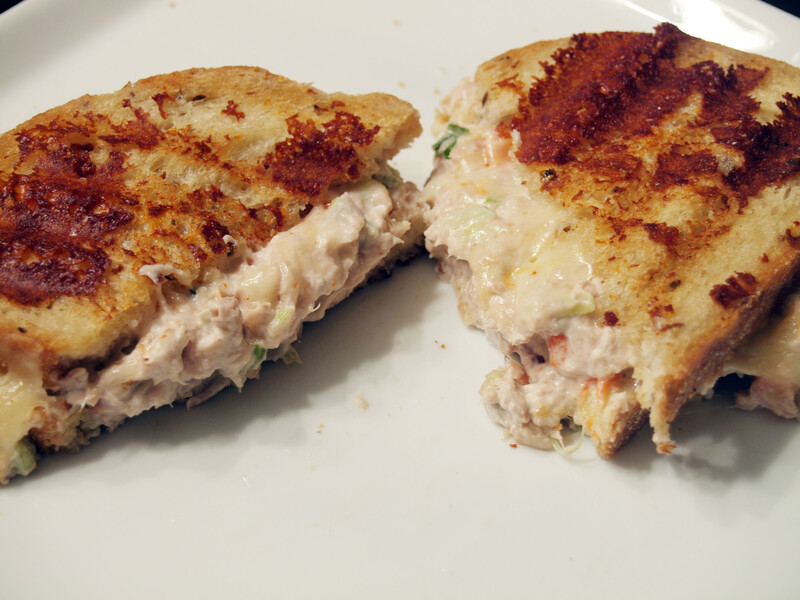 I mean seriously, a tuna melt is delicious! Or at least, in my opinion it is…which camp do you fall in? As I like to do, I traveled to Whole Foods to not only pick up my favorite tuna salad, but also to look in the cheese remnants section. Unfortunately, I was disappointed with the five or so pieces that were available. I was then required to buy full chunks of cheese…and decide on an actual type. For me, this was much easier said than done. The awesome cheesemonger, Jason, even asked if I needed help. Since I can be very shy, I declined help and looked on my own. After searching and searching, I finally decided on a Kosher cheese, made by the Naturally Good Kosher company. I decided on Muenster. At home waiting for me was some hot/jalapeno cheese, so I thought a mild, creamy cheese would mesh well. Little did I know that the jalapeno cheese, was actually a muenster cheese at its base…but I am getting ahead of myself. 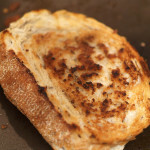 Since Muenster is a general variety of cheese that most have tasted, I can become snobby and totally ignore it for not being fancy or unique enough. However, I must admit, Muenster is a great, simple, creamy cheese. It should not be overlooked simply because it is not random, fancy or $20/lb. Once I arrived home from purchasing my tuna salad and Kosher Muenster from Whole Foods, I started searching for the jalapeno cheese. As I already stated, I soon realized that it was Jalapeno Muenster cheese. Now I had two types of Muenster cheese, not necessarily a bad thing. I decided to simply use half regular Muenster and half Jalapeno. 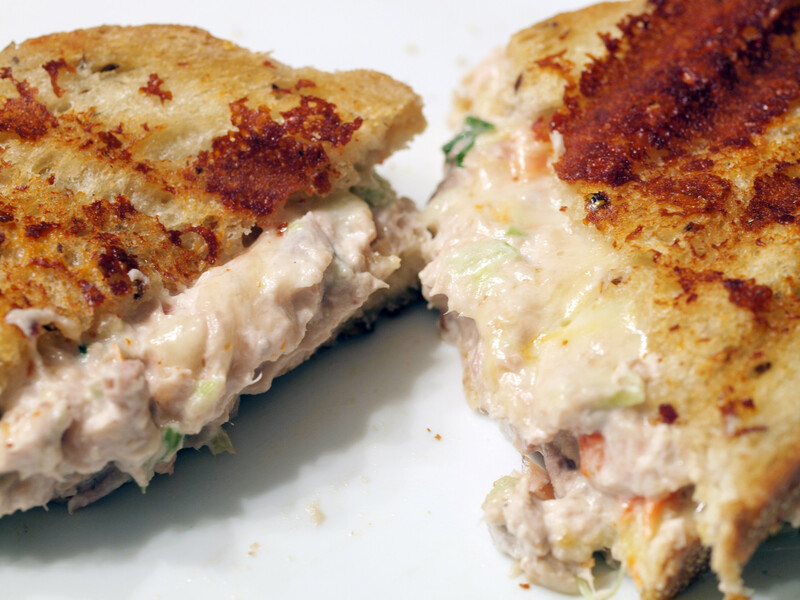 This way my tuna melt would be smooth and creamy but with a hint of a kick. Good plan, in my opinion. 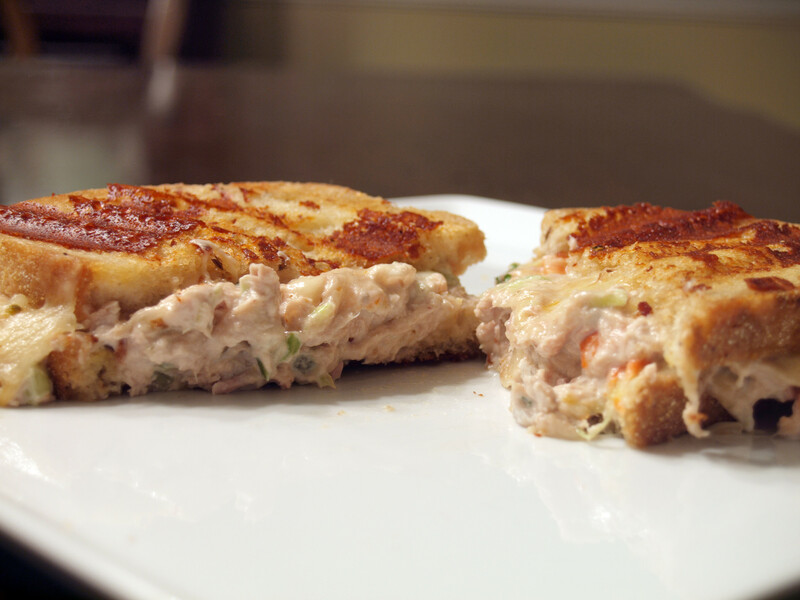 I have made tuna melts in the past but they weren’t up to par. This one, however, was delicious. In addition to placing a lot of shredded Muenster and Jalapeno Muenster inside the tuna melt, I also placed some on the outside. When melting the butter to spread on the outside of the bread, I also added some of the shredded Muenster, giving the tuna melt a little but of a cheesy crust. This made the sandwich look and taste awesome. 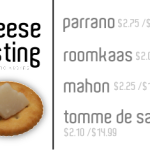 It added a nice crunch to the outside while the inside was smooth and gooey and oh so yummy. My only complaint was that I did not include enough of the Jalapeno Muenster, with the kick not being as strong as I would have liked. 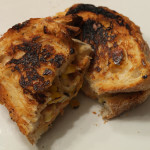 Regardless, Muenster worked perfectly in this tuna melt and is a cheese I will no longer ignore. 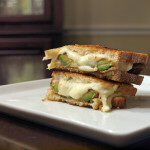 Posted in Grilled Cheese and tagged jalapeno muenster, muenster, tuna melt. 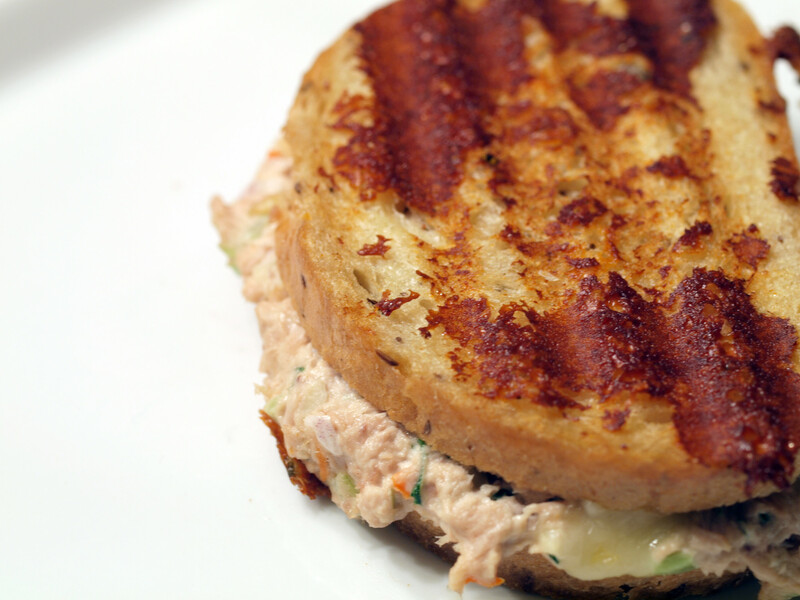 Try the tuna melt with Bumble Bee Spicy Thai Seasoned Tuna or the Bumble Bee Jalapeno Tuna. Loved your book, have done about 40 of the recipes so far.